Christian interpretation of the Bible is not a simpletask. While finding both its beginning and end in the theological claim that Scripture reveals to us"what God has done in Christ,"Christian interpretation demands much more. The interaction between believer and text is also conversation between reader and interpretive community, both ancient and modern. Theological interpretation entails close readingsof texts but also a close analysis of contextsathe social and political shapeof the Mediterranean worldas well as our own. Interpretation requires theinterweaving of theology, history,and literature. 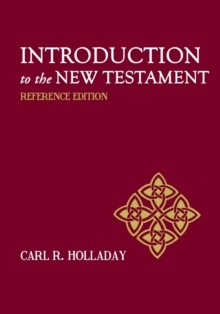 In Introduction to the New Testament Carl R. Holladay does just that. 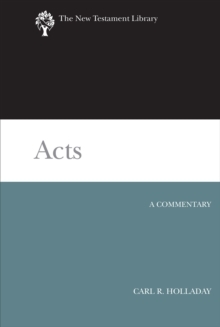 He roots each of the New Testament's twenty-seven writings in their historical, literary, and theological contexts. A true "Reference Edition," Holladay provides thorough, detailed, and exacting overviews, background material, and textual analysis. Holladay leads readers to consider questions of canon, authority, and genre that shape the formation of the text and the text's formation of the identity, theology, and mission of the church today. 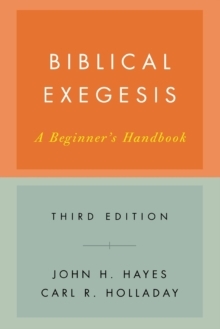 This Introduction does not leave its readers stranded in the first century; it also intentionally connects the message of the New Testament to the issues facing its faithful readers today. 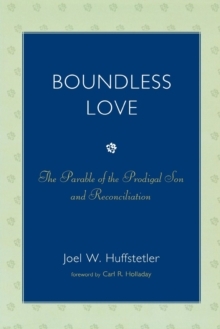 No stone goes unturned and no issue unexaminedaHolladay's Introduction to the New Testament is an essential text for any serious student of biblical interpretation.